On-Page SEO refers to optimization that occurs exclusively on your website in order to bring in more organic traffic. Preparing your website with On-Page SEO will entail the implementation of some basic elements to make that happen. First and foremost, you’ve got to have good content. No one will read a site that is lack-luster and uninteresting. A good variety of content that includes images, video, and frequent updates such as a blog will keep users engaged. Secondly, your website content should utilize the keywords you wish to rank for. 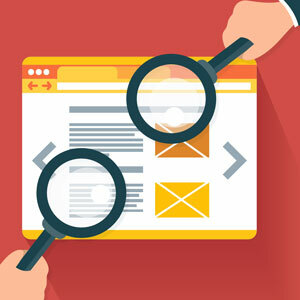 See our article on the importance of keyword research for more on that critical foundation step. Other things to consider are important as well, things like meta information and categorization. Is your website set up to display SEO-friendly URL’s? Make sure the address bar isn’t displaying a bunch of gibberish, but rather keywords and phrases that describe your pages. The use of keywords in this area coupled with their use in your title tags, header tags, and Alt Image tags will optimize every page on your website. You will be well on your way to optimal performance as far as organic search results. Keep in mind that your title tags should be less than 65 characters, your pages should only contain one H1 tag each, and everything else should be divided into chunks that are easy to scan under H2 tags. It may sound like a lot of work, and SEO is quite tedious and time consuming, but these basic elements will be the foundation of your website ranking. they will also greatly contribute to the overall ranking of your website in the search results.